Guests of this beach hotel will appreciate convenient onsite amenities such as spa services or barbecue grills. All 94 rooms offer room service, LCD TVs with cable channels, and ceiling fans. Guests will also find showers and desks. Limited housekeeping is available. 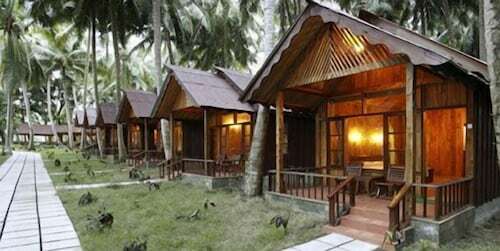 This Havelock Island hotel has its very own private beach. Dining options at the hotel include a restaurant and a coffee shop/café. A bar/lounge is on site where guests can unwind with a drink. Guests can enjoy a complimentary breakfast each morning. Public areas are equipped with wireless Internet access (surcharge). This beach hotel also offers spa services, barbecue grills, and room service (during limited hours). Complimentary self parking is available on site. Venom Bar - Onsite bar. Open 24 hours. Open daily. Start your day with a free continental breakfast, available daily from 7 AM to 10 AM. You can order a meal from room service during limited hours. Rollaway/extra beds are available for INR 3500 per night.